We’ve just released a major update and we’ve got plenty of developments to tell you about: we introduce the business process animation, a first step towards process simulation, model versioning and access right management. 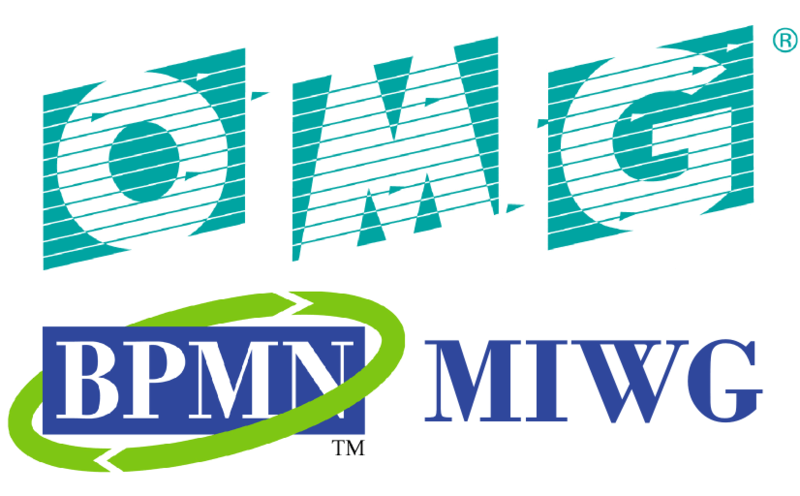 In our efforts for providing a professional BPMN modeling and analysis platform in the cloud, we joined the Business Process Model and Notation Model Interchange Working Group (BPMN MIWG) at the OMG. There are many benefits of simulation over testing on the real world: lower relative cost of exploration, speed of scenario validation, etc. One of the simulation type is the animation of the designed business processes, essentially for validation and verification purposes. At each step of the process – events, tasks, subprocesses, gateways, etc – you can pickup a path modeled in a business process diagram, and animate it to see how it flows. With just some clicks, you find out which points in your processes contain cycles or mistaken paths. If you’d like to read more about the benefits of process simulation and animation, see this presentation made by Denis Gagné. We gave the dashboard a make-over, introducing a built-in version control widget on your project property page. With tightly integrated version control following the schema Fix – Minor update – Major update, you can safely store all versions of your designed models with both the model information and the graphical representation (e.g. layout). All model types supported by our modeling platform – BPMN, UML, RDS, Flowchart and EMF – can be tagged. All versions are safely stored in our central repository and they can be viewed and restored at anytime. Admin: administrators have the same rights as the owner of the project, they can edit all the components of the project: name, description, diagrams, visibility and collaborators. Can View : collaborators can view the diagrams, versions and core information, but cannot make any changes. In this mode, users open diagrams in read-only mode. Can View Versions only: The current state of the diagrams is not accessible. Collaborators can only view the released versions of the project. In your dashboard, access rights are editable in the project property page. In our efforts for providing a professional BPMN modeling and analysis platform in the cloud, we joined the Business Process Model and Notation Model Interchange Working Group (BPMN MIWG) last week. In this working group, we work to ensure the smooth interchange of BPMN models between GenMyModel and other tools that implement the OMG standard. 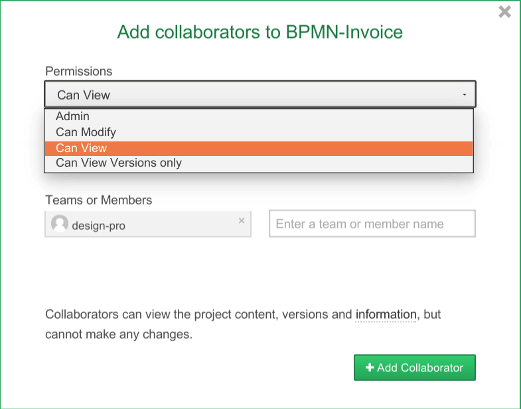 For our end users, it means the BPMN models designed with GenMyModel will easily be imported / exported with most of the BPMN tools. The diagram interchange already works smoothly but there are still significant improvements to be done for handling detailed attributes and extension elements. You can read our blog post about it.